This was an easy craft that the kids enjoyed making. I cut out a clip art picture of a tooth and drew a face on it. Next I cut out a long rectangle to make the toothbrush. Next cut out a square of white paper and snip close lines to represent the bristles of a toothbrush. Have the kids glue the project together. We did this while singing the Dental Health song. 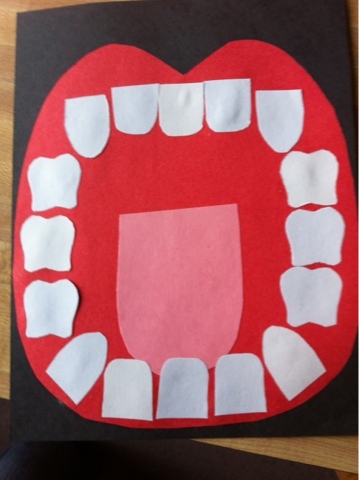 This craft taught the children about the different types of teeth are in your mouth. 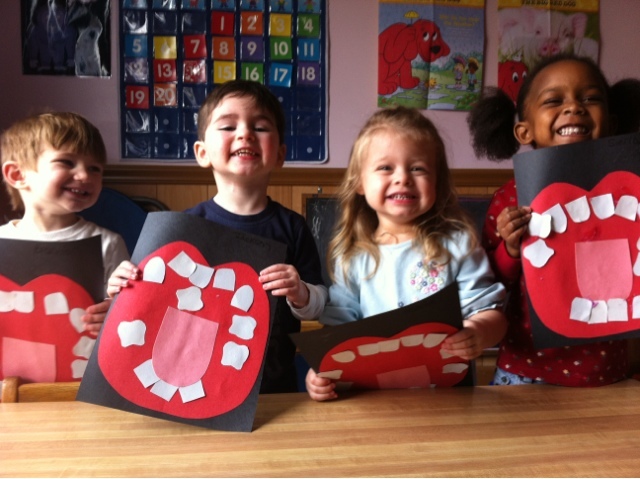 The children proudly showed their pearly white teeth!